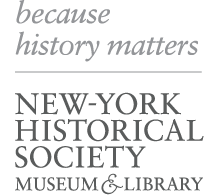 ﻿ New-York Historical Society | Where Are the Monumental Women? On July 19, the anniversary of the Seneca Falls Convention, the first women's rights convention, the Elizabeth Cady Stanton and Susan B. Anthony Statue Fund announced the winner of its Woman Suffrage Movement Monument Design Competition at an event hosted at New-York Historical's Center for Women's History. A model of sculptor Meredith Bergmann's winning design is temporarily on view in the Museum through the end of August. The Elizabeth Cady Stanton and Susan B. Anthony Women Suffrage Movement Monument will be installed on the Mall in Central Park in 2020.